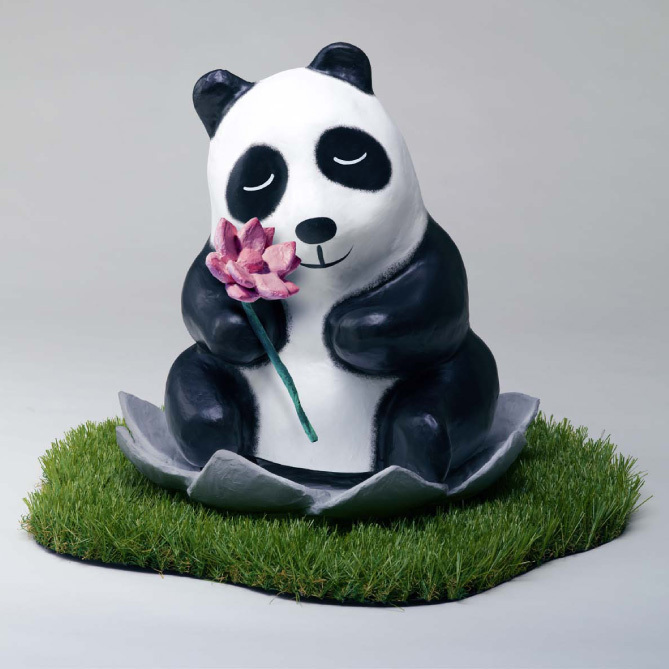 French sculptor Paulo Grangeon has made it elegantly -- and depressingly -- easy to see how endangered pandas really are. Launched in 2008 in collaboration with the World Wildlife Fund, Grangeon’s project has traveled to landmarks in more than 20 countries, including the Eiffel Tower. 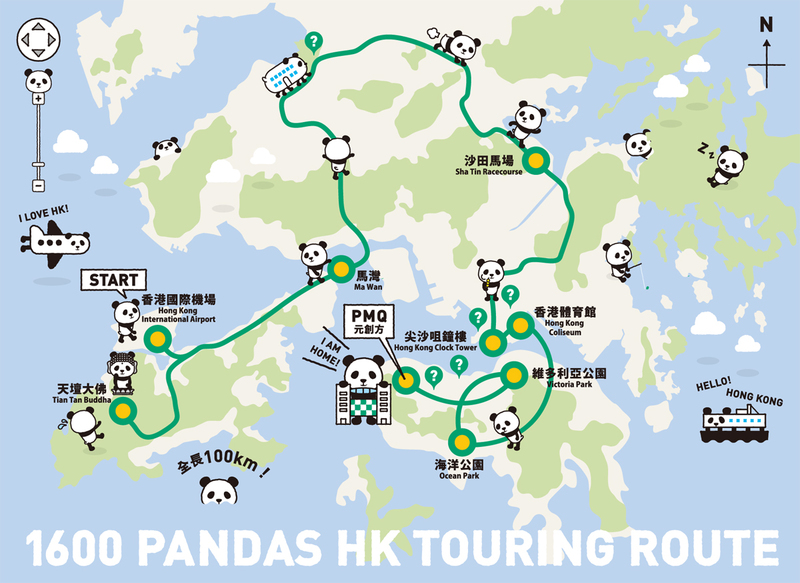 This June marks its first foray into Hong Kong, where the pandas will visit such hotspots as Hong Kong International Airport and the Tian Tan Buddha on Lantau Island. The exhibit toured Taiwan previously this year, leading to poignant photo ops as the paper bears spread into city gardens and down sidewalks not far from where the few remaining wild ones actually roam. 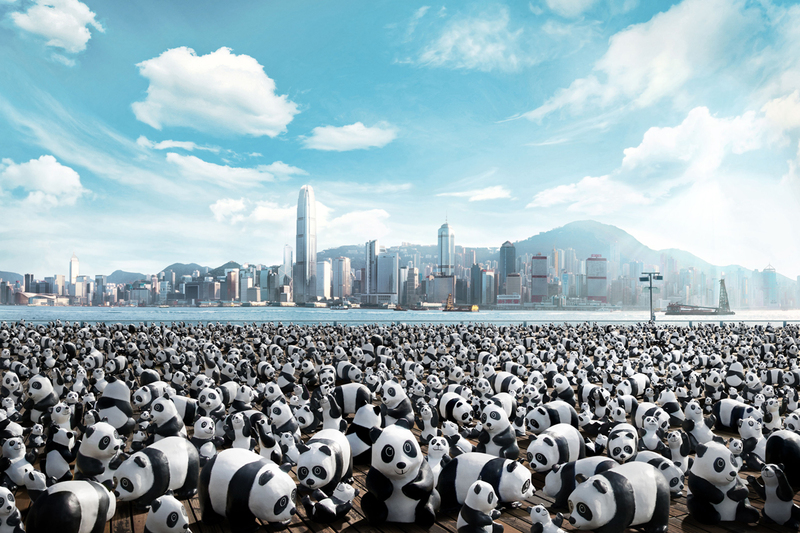 The panda "flashmob" will sweep more than 10 landmarks in Hong Kong. Because pandas are so elusive in the wild, it's difficult to know exactly how many exist. What we do know is that it's very difficult to coax them to mate in captivity. Furthermore, their native habitats are disappearing as global warming and human activities like mining and mass tourism encroach further into Chinese forest land. And yet, we're suckers for the Ailuropoda melanoleuca. In fact, humans are biologically programmed to love pandas more than other animals. This is partly due to their deceptively large looking eyes and "pseudo thumb," which researchers point out lend them a similarly irresistible (to us) appearance as human babies. One of Grangeon's designs seats a panda on a lotus leaf, in reference to the popular imagining of Buddha. While it's not hard to believe that this ironclad cuteness leads to an imbalance in interest in panda conservation, there are utilitarian reasons to protect the species even beyond basic preservation of the ecosystem. Chinese researchers last year found what looks to be a promising peptide in panda blood that could be used for a "super drug" for humans. That's right, pandas are not only impossibly cute, their blood might be magical. All of which is to say, we're pulling for Grangeon's project. Who doesn't want more pandas? For more on the nitty gritty of conservation efforts, we recommend reading up on the work of WWF and the Smithsonian Institute's Giant Panda Conservation Fund.